1. What kind of website is ShilpaAhuja.com? 2. Where can I buy the items listed in your articles? 3. Do you have a boutique? 4. Is Shilpa Ahuja a fashion designer? 5. Is Shilpa Ahuja a model? 6. Who writes articles on ShilpaAhuja.com? 7. What does “Slub” mean? 8. What are ShilpaAhuja.com’s vision and mission? 9. I loved one of the items featured in your photo shoot, where can I find the details? 1. Do you provide personal style advice or consultancy? 2. Who answers the questions on AskShilpa? 3. I posted a question on AskShilpa a while ago. Why haven’t I gotten a reply yet? 1. How do I know which articles are paid for and which products are sponsored on ShilpaAhuja.com? Do you have a disclaimer for paid social media posts? 2. Do you get paid to write these articles? 3. Do you get paid to wear the clothes in your photo-shoots, or to feature products on your website? 4. 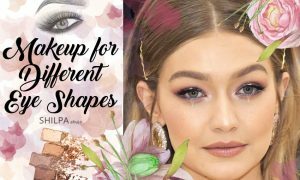 Is the makeup featured in your photoshoots free gifts from brands? Do you get free clothes and accessories from brands for your shoots? 5. Do you earn money when I buy products listed on your website? 6. Do you get paid to feature celebrities in your articles? 7. Are the fashion week review articles sponsored? 8. What is the process of your trend forecasting? 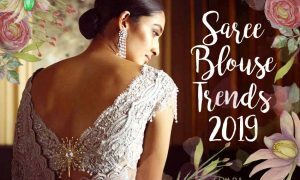 Do you get paid to put certain brands’ designs amongst the top trends? 9. How does ShilpaAhuja.com earn money? 1. How can I get in touch with you and your team? 3. What are your office working hours? 4. How can I contact Shilpa Ahuja directly? 5. How can I reach you on Facebook? 6. Do you have a YouTube channel? 7. 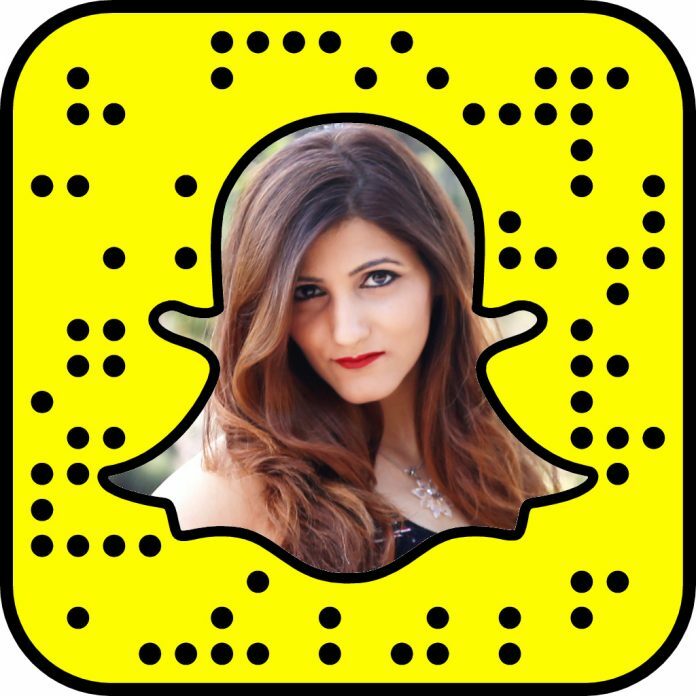 How can I follow you on Snapchat, Twitter or Instagram? 8. How can chat with you? 9. What is your mobile or phone number? 1. How can I get my product and brand promoted or featured on ShilpaAhuja.com? 2. Do you give paid links? I would like a link-back from your website to mine. 3. Do you have a corporate presentation? 4. How much do you charge for a sponsored post? 5. How can I advertise on Shilpaahuja.com? 6. What are your advertisement rates? 7. I want you send a product sample, what’s your office address? 8. I feel our brand was misrepresented in your articles, we would like you to issue a retraction. Who can I contact about this? 9. Do you provide personal style consultancy? 10. Do you feature guest posts? 11. I’m a photographer, how can we collaborate? 12. I am a makeup artist. How can I collaborate with you? 13. Do you collaborate with YouTubers and bloggers? 14. Do you collaborate with YouTubers and bloggers? 15. We loved your trend forecasts on SlubAnalytics, do you provide consultancy to brands? 16. Do you promote brands in exchange for samples or products? 17. We are a non-profit organization. How can we collaborate? 2. Does SlubShop deliver products outside India? 3. How are orders placed on SlubShop delivered to me? How can I cancel or modify an order I made through SlubShop? 4. Does SlubShop or ShilpaAhuja.com see my payment information when I purchase something listed on SlubShop or in your article? 1. How can I apply for a job at ShilpaAhuja.com? 2. I am considering applying for a job at ShilpaAhuja.com. What are the growth prospects there? 3. How can I assist you in your photoshoots? 4. I am a freelance writer. How can I write for ShilpaAhuja.com? 5. Are you looking for social media or SEO experts? ShilpaAhuja.com is a fashion blog covering news, fashion trend forecast, style advice, beauty, travel, and lifestyle. Read more about our work and philosophy on our About Us page. 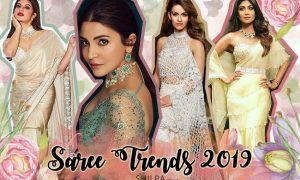 You can find all the latest fashion and beauty trends in SlubShop, which is available in US, India, Australia, and the UK. Any items not listed in SlubShop are not available with ShilpaAhuja.com, and may be found on their own designer’s boutiques or stores. Unfortunately, Shilpa Ahuja cannot assist with the shopping of such items. 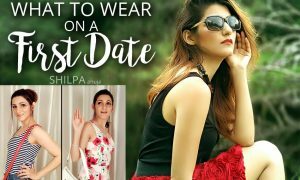 Shilpa Ahuja is an independent blog, not a fashion house. So we do not have any fashion brands, boutiques, nor are we associated with any fashion or lifestyle brands or designers. To help our publication stay unbiased, we don’t involve ourselves in the fashion e-commerce or retail business. This helps us bring the latest trends to you from the world’s top fashion runways, brands, designers and pop culture. However, we do have an affiliate store, SlubShop. No. Shilpa is the editor-in-chief of ShilpaAhuja.com. She has never designed clothes, however, she is a writer and artist. Read more about Shilpa Ahuja here. 4. Is Shilpa Ahuja a model? Shilpa does not do runway or traditional media modeling. However, she models for brands’ social media channels and for ShilpaAhuja.com editorials. The articles on ShilpaAhuja.com are all written by our in-house team of experts. Read more about our authors on our SlubTeam page. And also find additional information and contact info of each author below any of their respective articles. The first name we ever gave to this website was “Shilpa’s Lifestyle Blog,” which if shortened, creates SLB (pronounced Slub). To simplify things and remove the cliché, generic words, we renamed our publication to Shilpa Ahuja. To us, the word Slub stands for our values, that fashion is for everyone, the young and the aged, the rich and the poor, the skinny and the curvy, the light and the dark, and all genders. That everyone has “the right to style” and not be judged for their choices. That fashion should make everyone confident and happy. That it should not be bound by strict rules. Our mission is to democratize fashion. The millions of friends all over the world who read our publication and believe in our values and our philosophy are collectively known as the SlubClub. Our team is termed as SlubTeam, our shop SlubShop and so on. 9 .I loved one of the items featured in your photo shoot, where can I find the details? All the product details are mentioned at the bottom of their respective Looks articles. Our AskShilpa page is for readers to post their fashion or lifestyle-related questions. If you’d like to post a question, please do so on the AskShilpa page. The answers are published on the same page and are for public-view. You can also read our answers to previously asked questions on that page. For consultancy services, please see the Business Enquiries section. AskShilpa questions are mostly answered by Shilpa herself. Sometimes, one of our SlubTeam mates also contributes answers. You can find the author name above each answer. We apologize for the inconvenience. Please understand that our team is constantly working on bringing fresh new content on our blog, connecting with you all on social media and also answering your questions. The main reason why your questions may not have been answered is that we have already answered a similar question. We get a lot of repeat questions, and it is not efficient for us to answer them all. Additionally, repeat questions make for a dull read for our readers, as ShilpaAhuja.com strives to keep its content fresh. 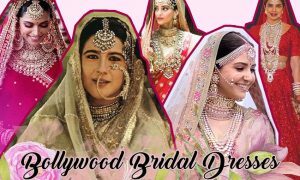 Please search our website for keywords from your question, such as “sister’s marriage wear,” to find the previous answer(s). For urgent queries or unanswered questions that are not repeated, please contact our Customer Care in our Contact Us page. We are aware that the digital media industry has earned a bad reputation for lack of transparency and keeping the readers unaware of brand collaborations, paid product placements and sponsored content. ShilpaAhuja.com works on a fully transparent basis with our readers with a strict disclosure policy. Any article that contains sponsored content, links or products, or shows a photo-shoot with paid-for products has a disclaimer “Sponsored Post” written on top of the article, just below the title. Such disclaimers are also found on our social media posts using #ad, #sponsored or #sp. An overwhelming majority (99.45% to be precise) of the articles on ShilpaAhuja.com is unpaid. However, ShilpaAhuja.com is a for-profit publication and to help run our magazine, pay our team’s salaries and grow our blog, we do collaborate with brands or businesses to write articles for them. As mentioned, paid articles currently form around 0.55% of our website’s total content. All paid articles are accompanied by a disclaimer (see above question about ethical policy). This disclosure helps us be transparent to you. All reviews and trend forecasts are unbiased, regardless of whether the article is sponsored or not. And all views expressed on ShilpaAhuja.com are authentic. Most of the clothes, accessories, lifestyle and beauty items featured in our photo-shoot editorials are not paid for and in fact, are from Shilpa’s personal wardrobe. If the photo-shoot editorial contains sponsored or promoted items, the article will be marked with a disclosure “Sponsored Post” (see question above). The same applies to products featured in any other articles. Shilpa Ahuja does not accept free or unsolicited products in exchange for a review or post. 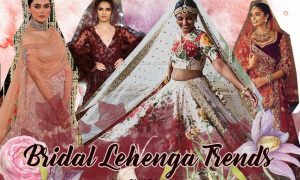 All products featured in our editorials are either from Shilpa’s personal closet or samples that are sought from brands on a returnable basis; unless it is for a formal brand collaboration or sponsored promotion. Some of the links on ShilpaAhuja.com contain affiliate products, which means ShilpaAhuja.com may earn a portion of their sales. If a product or fashion show look does not have a link to any shopping or external website, we do not earn anything from its sales. Neither are we associated with their designers or brands. ShilpaAhuja.com does not do paid collaborations for celebrity promotions or exposure. All celebrity looks featured are unsponsored. Fashion week reviews are 100% unpaid and unsponsored articles. This helps our reviews be unbiased. We do not collaborate with brands to write sponsored posts unless we write a disclaimer on the top of the article (see question above). 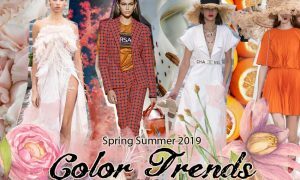 Our Fashion Trend Analytics Team analyzes over 1400 fashion shows annually, including Milan, Paris, London and New York Fashion Week to forecast every season’s upcoming trends. Trend forecasting is fully unbiased, It is never done in consultation or collaboration with any fashion brands. Brands, however, may want to do sponsored product placements in trend reports. If a sponsored product has been promoted in an article, you’ll see the disclaimer “Sponsored Post” on top of the article. Ad revenue from the website, along with brand collaborations are the top sources of our revenue, which helps to pay for our server costs, salaries and website maintenance. Ad revenue is generated via ad clicks on this website. Brand collaborations involve sponsored posts and videos. See above point about disclaimers to know which posts are sponsored. Trend consultancy for fashion brands is another source of our income. Lastly, some of the product links on this website and SlubShop may be affiliated, and we may earn a portion of their sales. Please note that viewing pages of this website, reading articles, sharing posts or commenting on them on social media or elsewhere does not earn us any revenue. Please find all our contact information here. Chennai, India. Please find our contact information here. For sending product samples, please see the Business Enquiries section. Monday to Friday 10 a.m. to 6 p.m. Please find all contact information here. Please find Shilpa’s contact information on our Contact Us page and fill in the form provided there. Please connect with us on our Facebook page, or Audrey O.’s FB page. You can chat with Shilbot. She is Shilpa’s bot avatar, she knows about the latest fashion trends and also gives compliments. You can also send a message to our team on our Contact page. You can find our office number on our Contact page. Please contact us here for business inquiries, product review features, sponsored posts, brand promotions, photo-shoots, product placements, features and paid content marketing. We do not give paid or sponsored links. Yes, please find our latest profile presentation here. Or please contact us for a formal presentation or proposal for business inquiries. Please find information about sponsored content and brand marketing services here. Please contact us here for advertisements. Please contact our Sales team for the up-to-date information on advertising and ad rates. If you’d like a sponsored product feature or review, please contact us here. We do not accept unsolicited samples, and sending an unsolicited sample does not guarantee its feature or promotion on our website. Reviews published are unbiased. Please contact our editorial team here. 9. I want my product sample to be featured in your photo-shoot or social media channels. What should I do? Please email your name, email ID, website, brief about the product to [email protected] for consideration. Due to the high volume of product placement requests we receive, we cannot guarantee its feature. However, if it’s a product that we feel goes with our upcoming editorials or content, we will certainly consider it and contact you. 10. Do you provide personal style consultancy? Please contact our Sales team for personal consultancy services. 11. Do you feature guest posts? Most of our content is written by our SlubTeam. However, we do accept guest posts. Please find the guidelines and how to submit here. 12. I’m a photographer, how can we collaborate? We are constantly on the lookout for compelling images, engaging graphics and media. If you feel that your photograph would nicely accompany our existing content, or that you’d like to contribute photographs for upcoming content, please send your portfolio or photograph to our Editorial team for consideration. 13. I am a makeup artist. How can I collaborate with you? We love to collaborate with talented individuals who complement our work. Please get in touch with our Editorial team with your proposal and ideas. Yes, we love to work with cool, talented bloggers and YouTubers for our upcoming videos and blog posts. Please find the appropriate contact on our Contact Us page to either send your proposal, submit an Op-Ed or Op-Vid, or to submit a Guest Post. Yes. Please visit our Services page for more details. Or contact our Sales team for a Trend Consultancy proposal that suits your needs. We do not feature businesses in exchange for samples or products. Shilpa Ahuja cares passionately about many social causes such as human rights, racial and gender equality and animal rights. If your cause is worth fighting for, chances are we’d love to collaborate with you to spread the word about it. ShilpaAhuja.com is proud to voice opinions on social issues. Please contact our editorial team here or send us an Op-Ed if you’d like to submit an exclusive piece about your organization. You can also send a press release here. To pitch an idea for other collaboration, please contact our business team. SlubShop is an affiliate shopping website. All orders are placed through the retailers the products are linked through, and you’ll be able to find the status on their respective websites. SlubShop is available in US, India, Australia, and the UK. However, the retailers whose products are listed may be delivering products outside these countries, too. Please check with the individual products’ retailer for international shipping information. We’re not involved in any transactions or purchases. Please contact the retailer you placed the order through for delivery information, cancellations or modifications. We do not have access to any payment information, whether the sales have been made through an external link in our articles or SlubShop. We’re constantly looking for talented professionals to join our team and help us grow. Please find all current openings and career opportunities here, including information on how to apply. As a startup, we are constantly looking for talented, hard-working and passionate individuals to join our team. We appreciate ambition, and Shilpa Ahuja is a place to learn and grow, both personally and professionally. We value professionalism, proactiveness, real contributions to the growth of the company, and true grit, with which you can go from being an intern to the editor-in-chief, or even CEO in future! No growth prospects are impossible here. Unfortunately, currently, we are not hiring for Fashion Photo Shoot Assistants. However, should this position open up in future, you’ll find it listed on our Careers page. Yes, in fact, we do have a couple of contributing freelance writers. Please submit your resume and writing samples on our Careers page for consideration. Please find current job vacancies on our Careers page.